Why sacrifice your tone when you need to practice in relative silence? 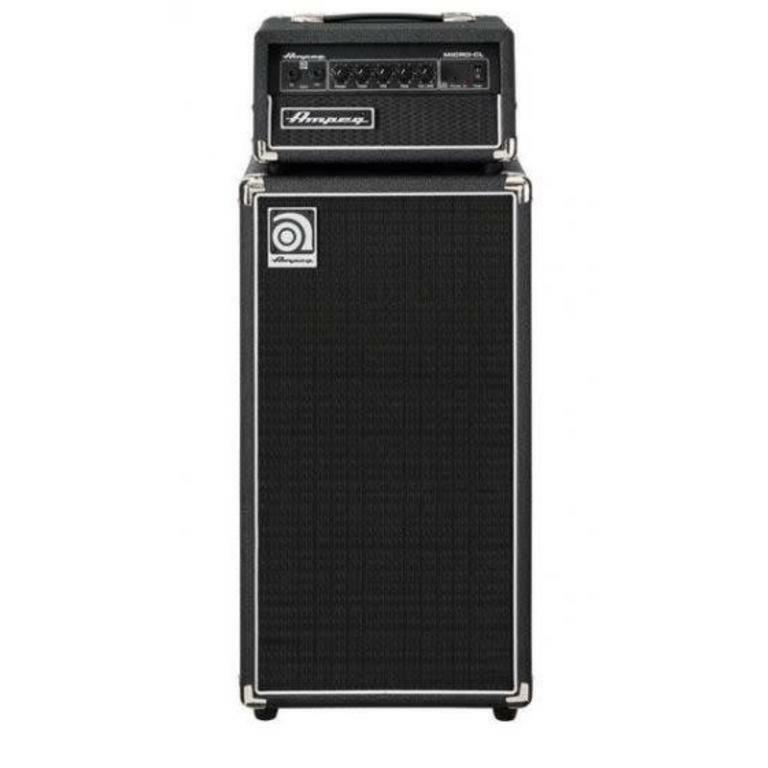 Ampeg designed their Micro-CL Stack bass amplifier combo so that bass players like you can get the tone you need, no matter how quiet you need to be. They engineered its 100-watt solid-state head to sound as close to its tube-based big brothers as possible, so you get epic bass tone without epic volume. And thanks to its punchy 2 x 10" cabinet, the Micro-CL Stack gives you enough output that you can easily use it for rehearsals and small gigs when you want to. Not only does the Micro-CL Stack's bass head deliver the real Ampeg tone you demand, but it also comes loaded with excellent bonus features. First, there's the headphone output, which lets you practice in total silence. The Micro-CL Stack head also gives you a stereo input so you can rock out to practice mixes and your favorite tunes. Last but not least, there's an effects loop built into the Micro-CL Stack head, so you can steal your pedalboard from your full-size rig when you practice or play smaller gigs. Real SVT tone includes the sound of a real cab. 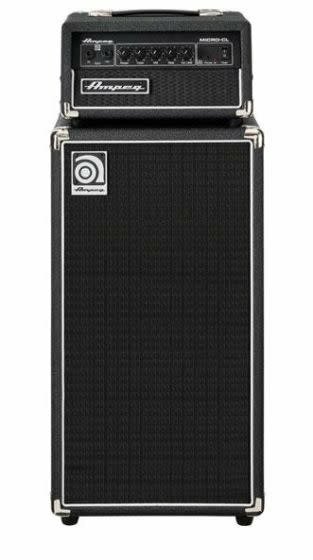 The scaled-down extension cabinet included with the Micro-CL Stack uses two 10" drivers to deliver pure Ampeg tone. Its frequency range (from 57Hz to 5kHz) is perfectly optimized for the Micro-CL Stack head, bringing out the punch and snap you'd only expect from a full-sized bass stack, but at more manageable volumes. This makes the super-portable Micro-CL Stack not only great for practicing, but also for playing smaller gigs. In fact, your sound guy (not to mention your back) will probably thank you the next time you play a bar or small club with this lightweight bass rig.